Dr. Pai is an MD gold medalist at the University of Mumbai & Masters of Science in Clinical Embryology and Andrology from the Eastern Virginia Medical school USA. He is one of the earliest Gynecologists in India to foray into the world of Assisted Reproductive Technology, way back in 1991. Though Dr. Pai has been academically and professionally active, he has a vision for Science and humanity. He is currently the President of the Indian Society for Assisted reproduction. Dr. Pai lives by Dr. B.R. Ambedkar’s quote: I measure the progress of a community by the degree of progress which women have achieved. The progress of woman in the nation is his utmost priority. He has formed a charitable trust The Infertility Health Foundation which seeks to provide subsidized, high quality healthcare for low-income families in terms of family welfare and reproductive health. Former Professor & Head, Department of Surgery, of the prestigious King George’s Medical University), Lucknow. 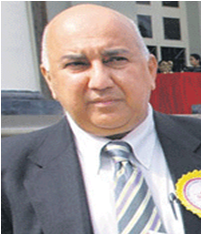 He has been the past President of the Association of Surgeons of India. After his M.S from King George’s Medical College he went on to obtain the prestigious F.R.C.S Degree in England. He received extensive training in improvising surgical techniques in Europe. For Tobacco Control, World Health Organization (WHO) Director-General’s International Award and the Life time achievement Award of Association of Surgeons of India. 2012 to name a few. 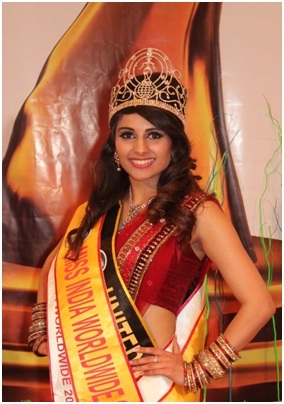 Ladies & Gentlemen we present to you Miss India Worldwide 2013.Miss India UK. Neha Bhogaita.Beautiful, Articulate, Deaf.Proof to the statement ‘nothing is impossible’. The biggest passion of her life is dancing. Though she can’t hear the music, she feels the vibrations of the music through her feet and counts the beats. She has many credits to her including travelling to South Africa to teach children at a deaf school. This opportunity she ably used to inspire the children and give them the confidence to fulfil their dreams. She is heading a funded dance project where she teaches deaf and hard of hearing individuals how to dance.She balances her working life as a Support Worker and as a beauty therapist at a prestigious beauty retreat in Leicester. She has participated in Major dance shows in UK. She believes in carrying on breaking every barrier in society to show that you can achieve your goals. He is the President of the Indian Dental Association and Director-Principal of the prestigious Maulana Azad Institute of Dental Sciences, New Delhi. Amongst his other recognitions is being Honorary Adviser to the Armed Forces Dental Services and Ministry of Defense. He is the clinical director for the American Academy of Implant Dentistry. Senior Cardiologist and PHYSICIAN TO THE PRESIDENT OF INDIA .Dr Wali has a glorious 40 years’ experience in Internal Medicine including Teaching, Research & Clinical Practice. He is a consultant to the Ministry of Health & Family Welfare. 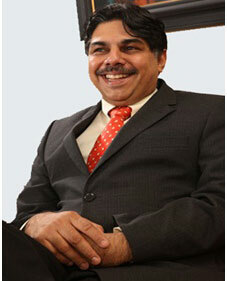 He has been recognized as one of the Top 10 Doctors in India. He has been closely associated with International Red Cross and Indian Red Cross having recently been awarded Presidential Indian Red Cross Gold Medal for India. Professor and Senior Consultant Oncologist at one of the world’s largest and the region’s premier dedicated comprehensive cancer hospital Tata Memorial Hospital Mumbai. 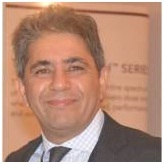 Dr. Jalali is an alumnus of the prestigious PGI -Chandigarh with a fellowship in brain tumors from London, UK. My dream is to see every child happy and smiling, experiencing the joys of childhood and ultimately maturing in a responsible and caring adult. This line itself surmises Dr Jalali’s interest in the field of Brain Tumours in Children. Dr Jalali is INCHARGE of the “Brain Tumour Foundation of India”, a charity organization dedicated for patients with brain tumours and their families. Present Chief Minister of Goa.Hono’ble Health Minister Goa, Panchayat and Rural Development, of Goa. Goa’s health systems are regarded as amongst the most extensive in India with a good network of hospitals covering both Urban and Rural areas of the State. 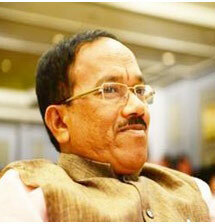 Mr. Parsekar has been in the forefront of bringing important health issues for discussion in the Goa Assembly. His recent intimation that Goa has 15000 HIV patients brought the HIV issue ahead again. Medical care and treatment of diseases, hospitalization and surgery through Government and private hospitals. The Govt has also introduced The Mediclaim Scheme with Illness Fund Scheme for Below Poverty Line patients. The Infant & Maternal Mortality rate on Goa is amongst the lowest in the country. For these achievements and more we are happy to announce the award for Excellence in Public Health to Mr. Laxmikant Parsekar. Best Citizens of India award 2011.
experience in the field of eye care for over 35 years. Professor and the Chief of the Dr. R.P. Centre for Ophthalmic Sciences, AIIMS. 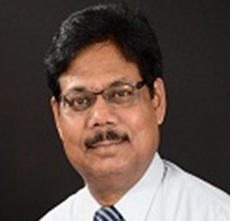 He is currently Adviser (Ophthalmology) to Ministry of Health & Family Welfare, Government of India and Armed Forces Medical Services and Vision 2020 India. 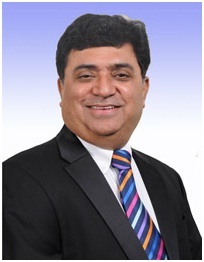 He is the first from India to achieve the most coveted and prestigious post of the President of Asia Pacific Academy of Ophthalmology,An international and national ICON. He is a Practitioner, Research Scientist, Teacher and Author of Homoeopathy System of Medicine with an experience of 26 years. He has authored various books ; one of the popular ones being ‘The Spirit of Homoeopathy’, which has been translated into 15 languages. Apart from India, DR SANKARAN teaches in several countries including Australia, Canada, England, France, Germany, Japan, Russia, South Africa, U.S.A. and many more. He is the probably the only Indian till date who has been awarded “ Fellowship of the Society of Homeopaths ( U.K.)”.He is reputed to be a clear and original thinker and is best known for his path breaking concepts in homoeopathy. CMC Vellore is an educational and research institute and a tertiary care hospital located at Vellore, Tamil Nadu, India. It is one of the prominent and well known medical destinations in India, having reputations nationally and internationally. It is also one of the top ranked medical colleges in India. 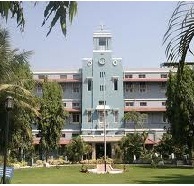 The objective of the Christian Medical College, Vellore is the establishment, maintenance and development of a Medical College and Hospital in India, where men and women shall receive an education of the highest grade in the art and science of medicine, nursing, or one or other of the related professions, to equip them for service in the relief of suffering and in the promotion of health. founded in 1900 by Ida Sophia Scudder , the daughter of an North American missionary couple who were living in India.It continues to be amongst India’s top ranked medical institutions down the millennium. KARE has evolved through the inspired vision of Dr. Prakash Kalmadi, a practitioner of Western medicine for over three decades. KARE is a unique blend of Traditional Kerala Therapies & Iyengar Medical Yoga aided by a highly qualified team of doctors, therapists, nutritionists and paramedics to ensure best methodical treatments.Located on the mulsi laske near Pune in Maharashtra. KARE Academy was established to teach basic nuances of Ayurveda, Yoga and Ayurvedic dietetics for the learner and seeker of this science. 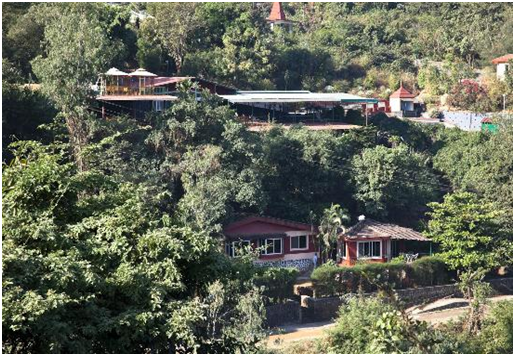 Let Food Be Thy Medicine” is the motto of ayurvedic healing at this resort based on the principles of Prakruti & Vikruti. 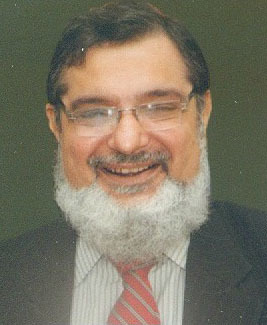 MD, MAMS, FIMSA, FICP also medical Teacher for 40 yrs with an experience of 17yrs as a HOD Developed many subspecialties . She has pioneered work in HIV/AIDS Epidemic since, 1990 till date. Prof. Deshpande is a RECIPIENT of ‘Padmashree’ ,2001. And when people come together on their own volition, a seamless team begins to weave an equally seamless path towards the objective. Lacs of people from various countries have successfully got treated from major / chronic diseases like heart, kidney problem, arthritis problem, paralysis, cancer etc after taking treatment suggested by Dr. Smita Naram. She is the co-founder of Ayushakti Health centre, which has more than 100 Health centers in Europe, USA, Australia, Newzealand and India.